Hi all! 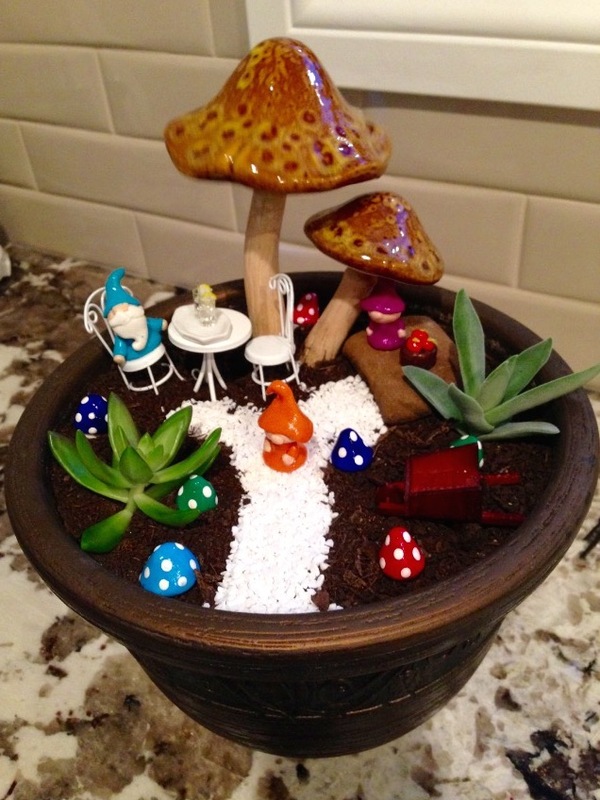 I just wanted to do a quick update post on the fairy garden kit that we made for my niece for her birthday. It turned out adorable! She did an amazing job! 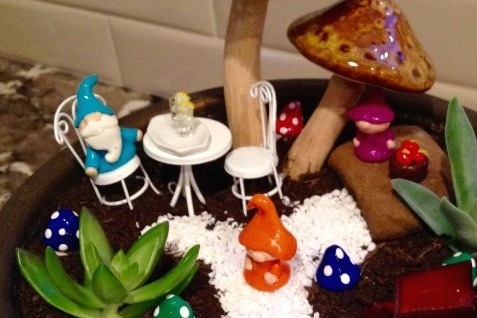 She set up the fairy garden all by herself while my sister was at work. She put in rocks first for drainage, and then some soil. She was very pleased with the results! She did a great job and I love the mushroom trees! What an amazing job she did! That looks absolutely amazing!